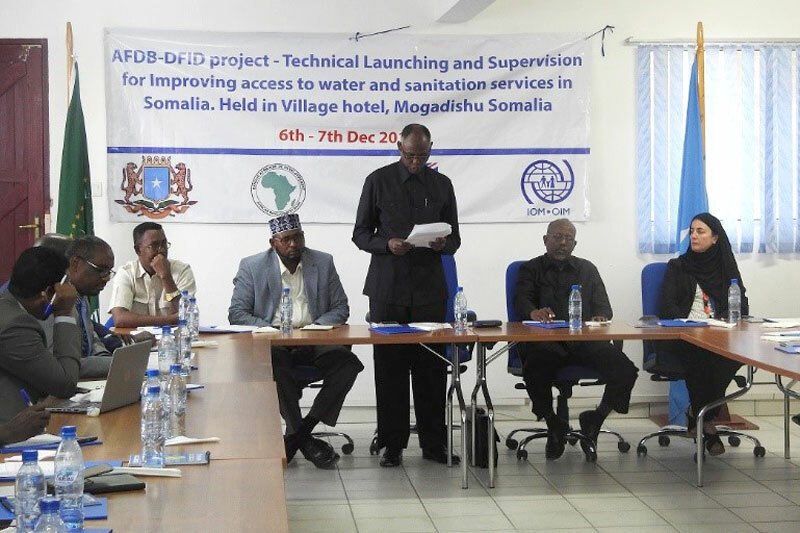 Mogadishu – IOM, the UN Migration Agency, last week (06-07/12) held a technical workshop funded by the African Development Bank (AfDB) to facilitate the implementation of a new project to improve access to water and sanitation services in rural areas of Somalia. 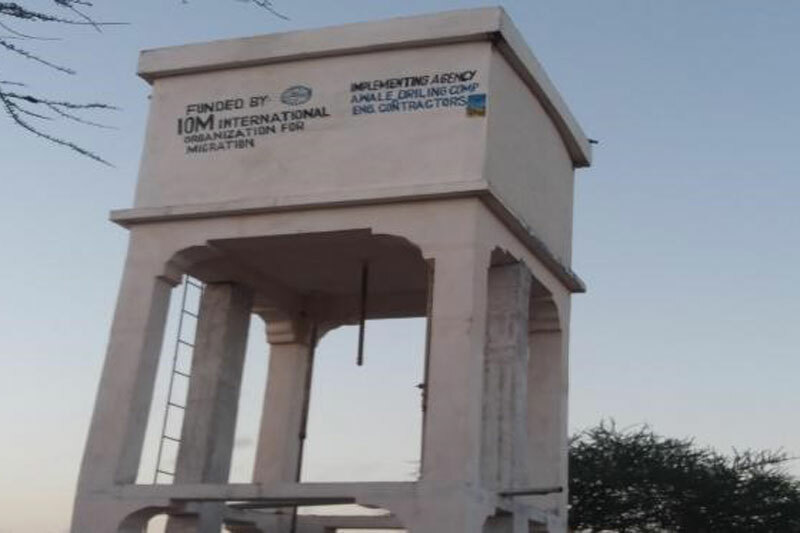 Held in collaboration with the Federal Government of Somalia, the three-year project aims to reduce infant and child mortality caused by water borne diseases. Nearly 6.2 million people need humanitarian assistance in Somalia, due to the failure of consecutive rainy seasons and an ongoing conflict. The dire humanitarian situation has led to massive displacement and disease outbreaks. Many families have been forced to live in congested settlements for internally displaced persons (IDPs), often without basic services. This project strives to strengthen sustainable water solutions and increase the technical capacity of local administrations to operate and maintain water infrastructure. In line with the New Way of Working, it will address immediate water and sanitation needs while simultaneously building community resilience to withstand future drought and environmental related shocks. In 2017, IOM has provided conditional and unconditional food and water to drought-affected people in Somalia. 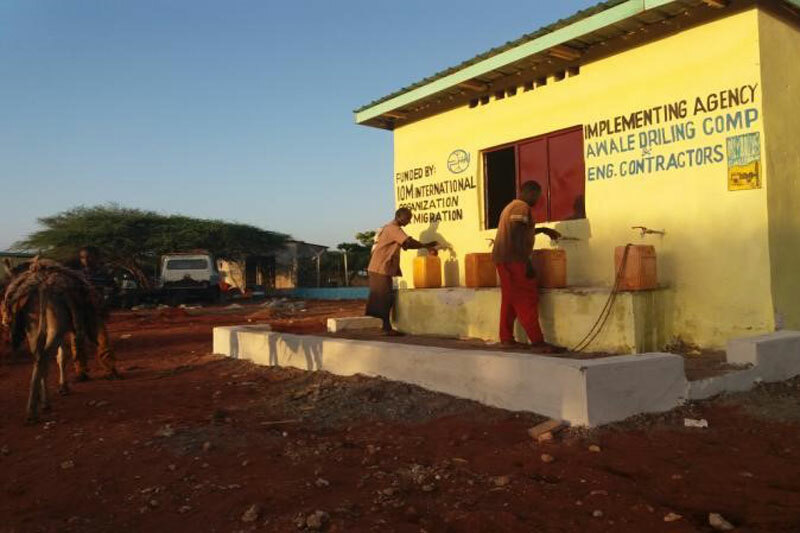 Over 200 million litres of clean and safe water have been supplied to approximately 570,000 people in Somalia through a water voucher mechanism.